Waking up to the sound of the sea on the beach outside your window will melt the most unromantic of hearts. Tuck into oysters from Wheelers of Whitstable if you need some encouragement. Hibernate in the snug studio at Ard Daraich. Having said that, it’s set in stunning gardens in an area filled to the brim with history and amazing scenery so you should try to get out if you can! 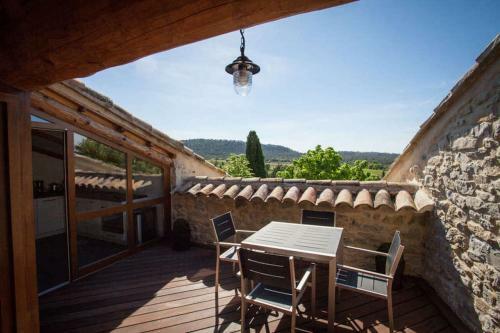 Super romantic gay friendly gites for two with private terraces and spas. 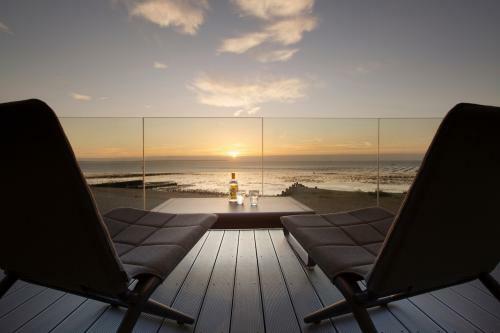 Their spring offer means you can save money for a longer stay – paying for three nights but staying for up to a week. Chic and minimalist The Store allows the AMAZING woodland setting to speak for itself. 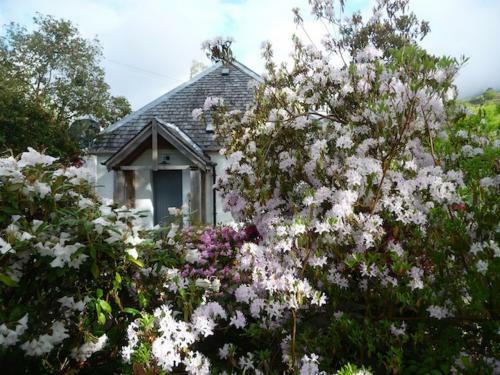 This dog friendly cottage for two is a truly romantic escape. 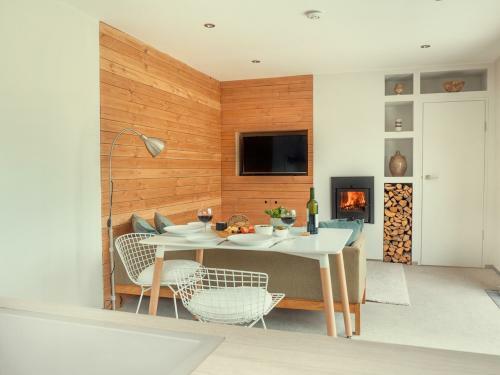 Although it sleeps four, this cottage in Cornwall is the ideal base for a romantic weekend away for two. 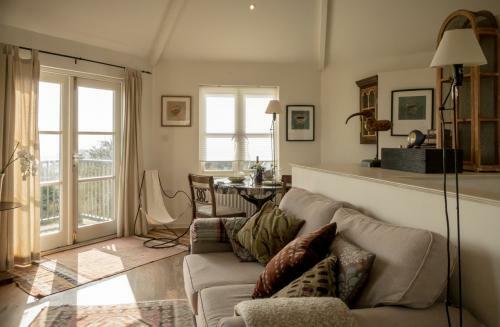 Beautifully designed interiors and rolling countryside makes it a perfect holiday cottage. We always think that picture says it all. 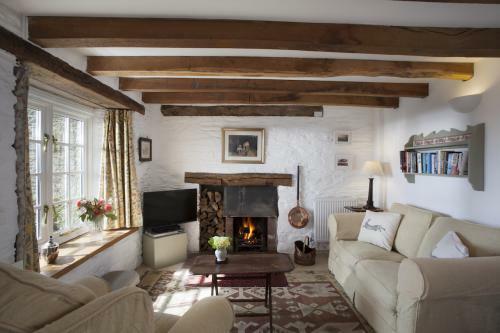 Traditional, cozy, holiday cottage for two in Cornwall, Hollyhock is an ideal romantic break destination. 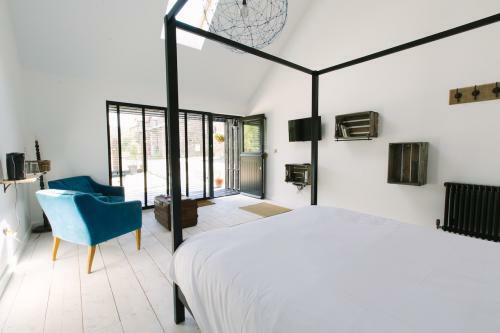 The most romantic of bedrooms is this one at The Loft. 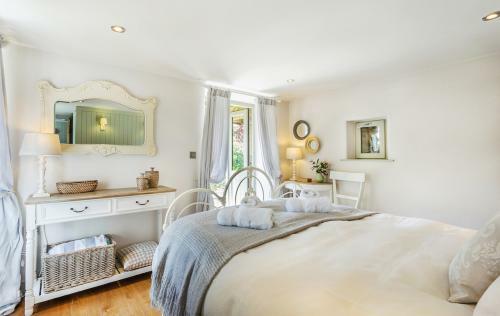 Stunningly comfortable bed and bath alongside in this quirky bolthole for two in a quintessentially English town. Down an old farm track is this lovely cottage for two close to Salisbury. Cozy, romantic and with the most amazing views over rolling countryside. 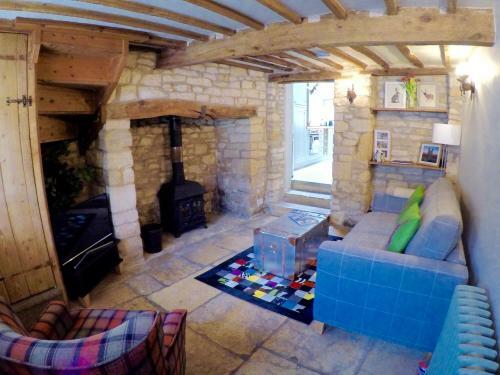 Traditional stone built cottage in The Cotswolds, The Feathered Nest is a holiday cottage for four in lovely Winchcombe. 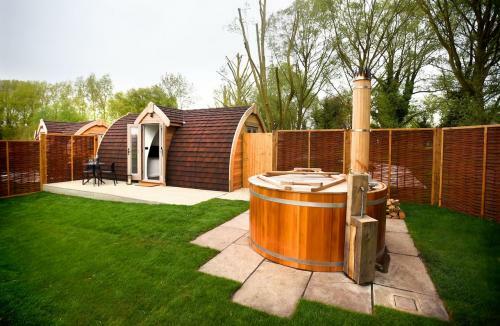 Wood burning stove and character features married with modern design and facilities. We love this one. 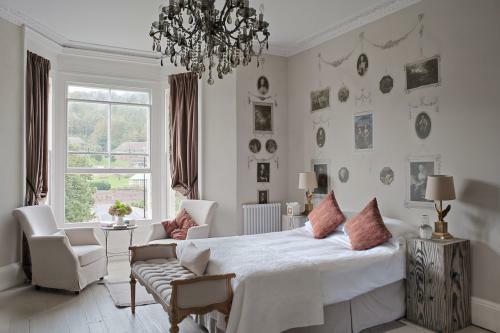 High up above the the lovely town of Lynton, this stunning boutique B&B in Devon is beautifully decorated with rooms designed to make the most of the incredible views. 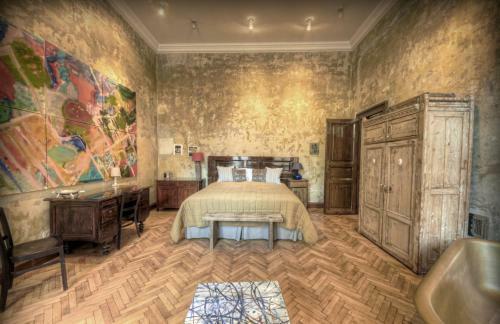 Skip across to fascinating Budapest and the chic and quirky boutique hotel, Brody House. Their Valentine’s special saves your money and gives you bubbles. Win, win! We had to include the city of love! 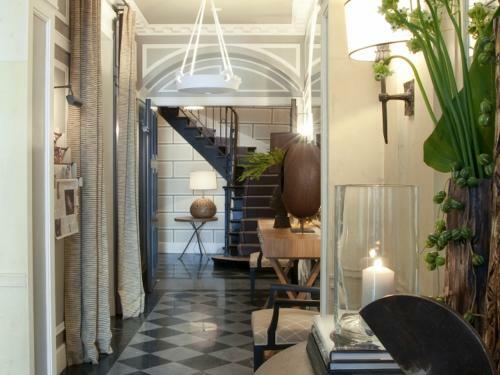 Head to Paris and the stylish and intimate Parisian gem that is Hotel Recamier. Tucked away but perfect for exploring the city with interiors that make you feel pampered. Stay in one of the Nook rooms from £255 a night for dinner, B&B during the period of romance! 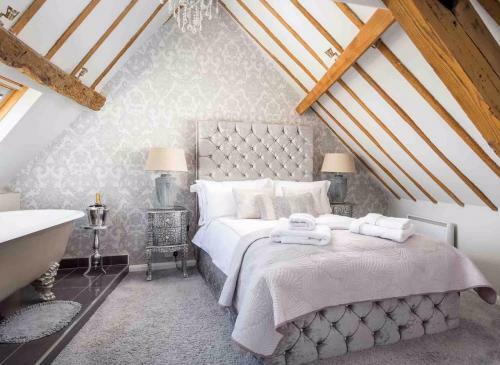 This boutique hotel is romantic all year round but a Valentine’s escape here means you’re also be in the good books all year around. Wander the bookshops of Hay-on-Wye before heading back to your stylishly designed rooms at Westbrook Court. Some are split level and all have their own little outside space. 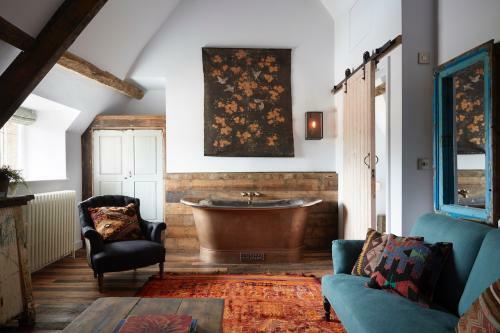 These incredibly stylish, quirky but above all else welcoming, hotels both have great restaurants onsite so you don’t have to travel far for supper before heading back to bed. 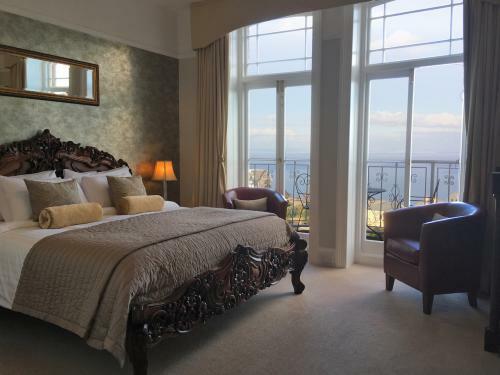 This Georgian boutique hotel in Hastings has amazing rooms and, to add to the romance, the option of spa treatments. 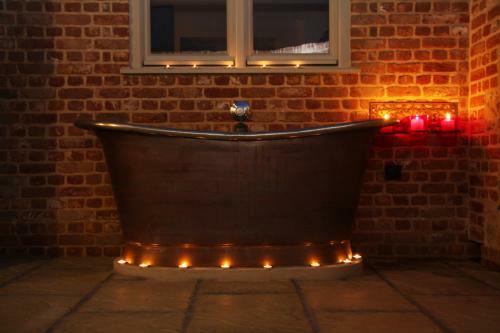 Beautifully decorated and with super friendly hosts this is an ideal romantic escape close to London.